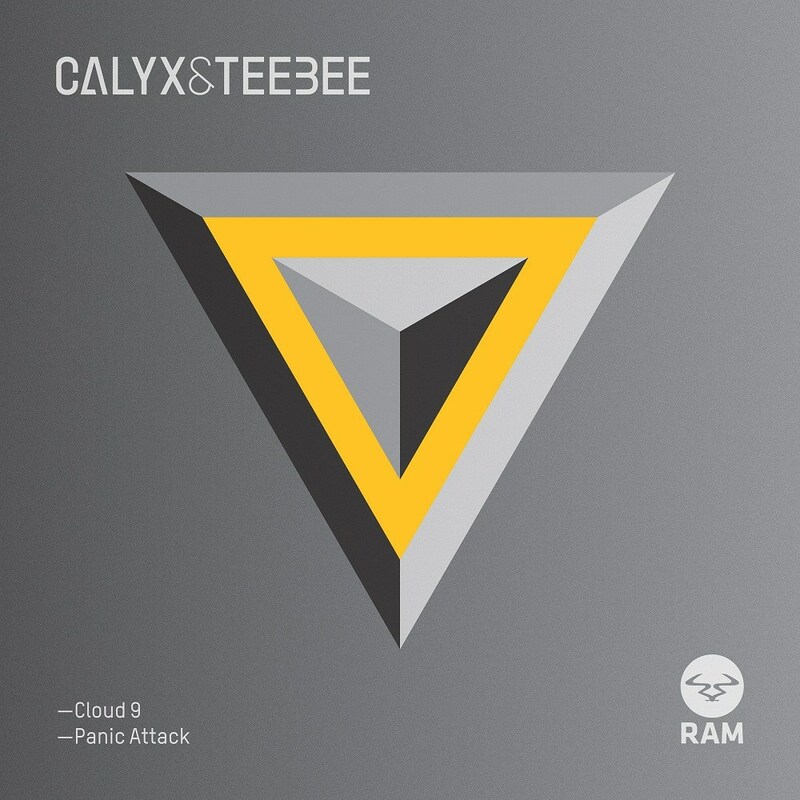 Drawing you ever-deeper into their forthcoming LP '1x1', Calyx & TeeBee's next offering presents not only a landmark release, but also their unbridled integrity. The anticipation around this second album is only growing, having scored three Beatport numbers ones with their latest singles. On top of playing sold out shows at Brixton Academy, as well as festivals across the Atlantic and singles and producing remixes on major labels, it's clear to see how they've met these benchmarks. 'Cloud 9' sees Calyx back on vocals, adding a soulful depth which creates a narrative behind the music. Carefully drawn out lyrics create a cinematic edge, intimate and adding an 80's new wave flare which is seldom seen within the genre. Layers gradually build underneath the track's more humanistic elements, with a distorted bassline revving up and peddling the record forward. Ducking and diving between twisted beats, you're launched through a segment of glitchy sonic, before stockier subs underpin the composition. A testament to an unbreakable production standards, it only alludes to another studio album set to make history. The name 'Panic Attack' in itself is foreboding; implicating an explosive flipside, it delivers with an almighty kick and leaves you reeling. Snapping and kicking between hi-hats and low-mids, 'Panic Attack' is explosively aggressive from its roll out. Winding up on elongated note patterns and quaking percussion, the erratic break pushes you through a soundscape of madness. However, this is one methodically builtâ€¦ Keeping you hooked from start to finish with pounding drum loops. An incredible verification of their technical knowledge, this isn't just the groundwork for a second studio album. It epitomises the solid, reverberating history the duo hold between them.